Fibers of Kalamazoo started as a paper-converting business in 1981. Even though we have grown to include thousands of additional products, we still strive to provide outstanding customer service and industrial-grade paper products today! 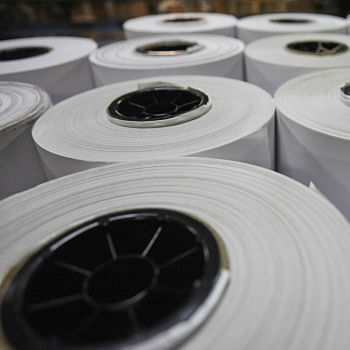 Over the years, we’ve cut, rolled, shaped, and shipped just about every type of industrial-grade paper you can imagine. After more than nearly three decades in business, we know a thing or two about paper. As a result, Fibers of Kalamazoo offers an extraordinary selection of paper and expert service. 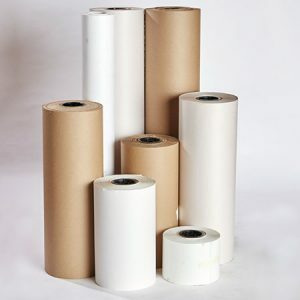 Whether you need to package cargo for transit, protect finished materials from breakage, cover surfaces to prevent damage, or find the exact paper needed to expedite your process, Fibers of Kalamazoo is your source for industrial-grade paper! In need of additional supplies? We also carry chipboard, corrugated boxes, and a wide range of other packaging products! Be sure to keep your employees safe during packaging and handling with our gloves and other safety products. Fill out the form below or contact us today for more information. Our knowledgeable sales staff is eager to find the best industrial-grade paper and packaging products for your organization!